An excellent jacket for leisure or work. A luxury feel microfibre peach finish is twinned with a 280g fleece lining that keeps in heat and feels comfortable to wear. 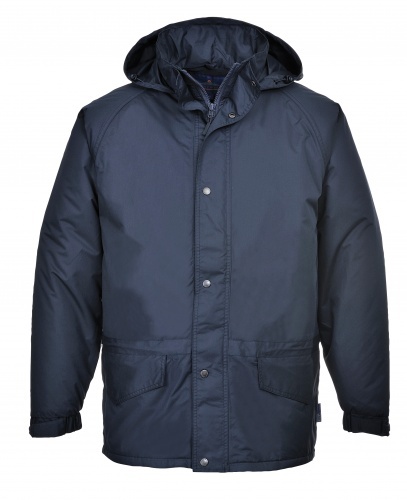 Features include double storm flaps, drawstring hood and waist and lower zip pockets.